Built in 1779 as a chapel of St Martin's-in-the-Bull Ring, St Paul's is the only survivor of the town’s 18th-century churches. Standing in the City's only surviving Georgian square, it is known as the 'Jewellers' Church'. The church's own website is at - http://www.saintpaulbrum.org but appears not to be currently working. See A Church near You - http://www.achurchnearyou.com/birmingham-st-paul/. 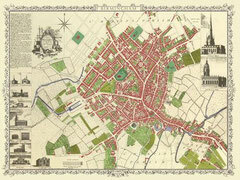 You might also be interested in - A History of Birmingham Places & Placenames . 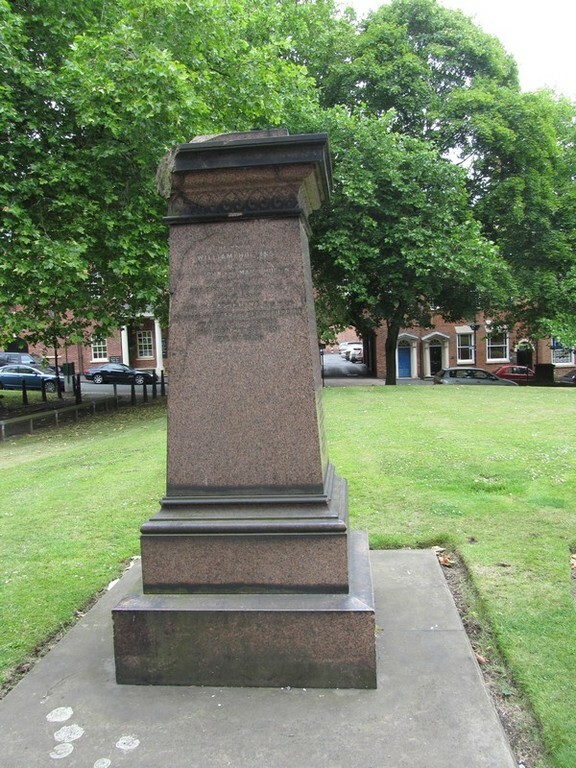 . . from A to Y The Jewellery Quarter - http://billdargue.jimdo.com/placenames-gazetteer-a-to-y/places-j/the-jewellery-quarter/ . St Paul’s Church was built between 1777 and 1779 as a chapel of ease of St Martin's-in-the-Bull Ring as a result of a parliamentary act of 1772 which also permitted the building of St Mary’s chapel in Whittall Street. 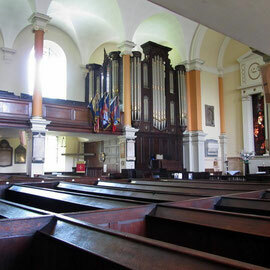 It is the only survivor of the town’s 18th-century churches. 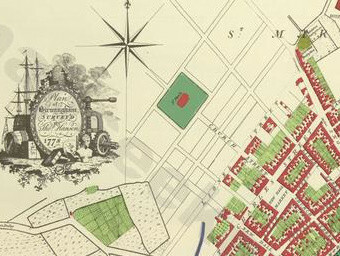 Charles Colmore donated 3 acres of land on Harpur’s Hills, later Harper’s Hill, and gave not only the site, but also £1000 towards the cost of the building. The rest was to be raised by subscription. 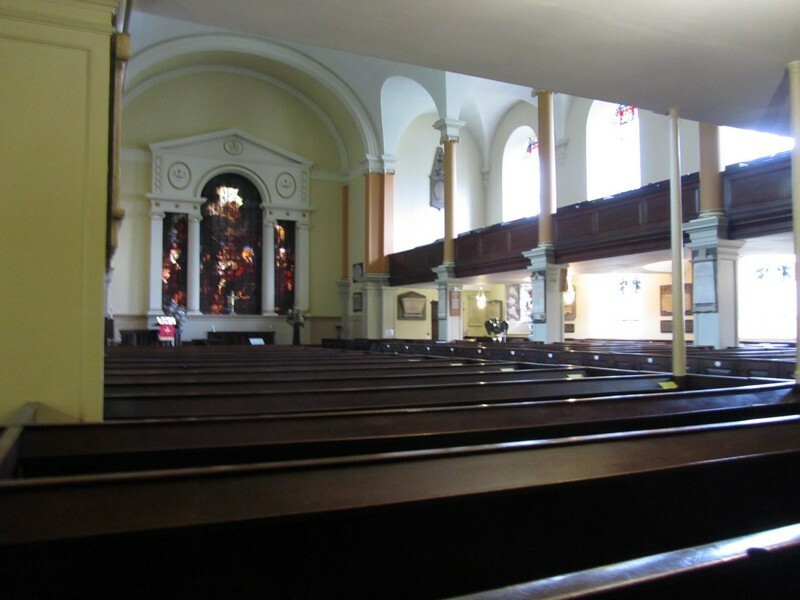 The purpose of the venture was not only to provide additional seats for the rapidly expanding town, but from Colmore’s point of view, the church would provide a focus for his new residential estate which was beginning to be built up northwards from Colmore Row. The existence of a church would stimulate development. The 1772 Act specified the cutting of a street from the newly- laid Great Charles Street. It was a continuation of Church Street and was initially so-named, though by 1825 it had become Ludgate Hill, taking the name of the London street which runs up to the great west door of St Paul’s Cathedral. St Paul’s, Birmingham was designed by Roger Eykyn, a Wolverhampton surveyor, with the noted local architect Samuel Wyatt as an advisor to the building committee. As a guide to the design Eykyn used A Book of Architecture by James Gibbs, the architect of St Martin’s in the Fields in London. Eykyn was a self-taught surveyor rather than an architect and had variously been a master joiner, a nurseryman and a stonemason. He made a model of the chapel for the committee. Wyatt’s criticisms were numerous and blunt - there can be nothing uglier than the Chancel Windows; the Entabliture above the Capitals is Ugly; the Pediment at the West end is as Vulgar as can be. Another architect, a Mr Gibson, while generally agreeing with Wyatt, made practical suggestions for alterations. A square chancel instead of a circular would be cheaper and look as well, two rows of windows would better light the ground floor and gallery and the doors would be better at the west end instead of at the sides. 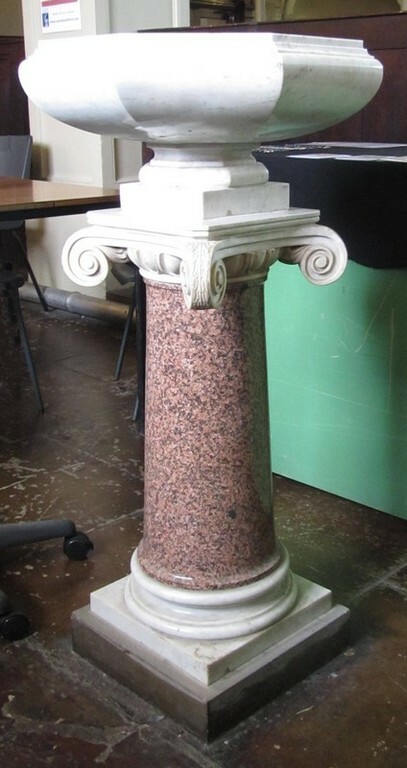 The amendments to the design were accepted and carried out by Eykyn and the cost estimated at £4500. The final cost was over £6000. St Paul's stands in the middle of its churchyard in Birmingham’s only Georgian square. It is a neo-classical building with a rectangular nave with aisles and galleries on three sides. It has a square apsidal chancel and a west tower with entrance lobbies to the north and south of it. The design is very clearly influenced by that of St Martin-in-the-Fields, though withy the absence of the portico. 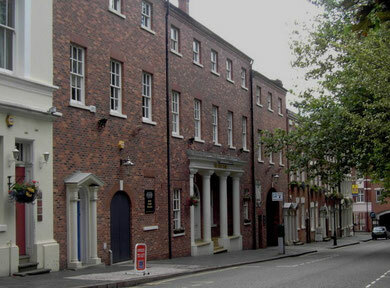 The church was built as part of the proposed development of the Colmore estates whose grid pattern runs down from Colmore Row and Great Charles Street. Although the nearest building at the time was along the latter, the plan meant that the church could not be laid out with the chancel at the geographical east. The chancel actually faces north-east. Image from Hutton's 1836 'History of Birmingham' 6th Edition. The spire was built in 1823. Internally too, this is an excellent example of a Georgian church with its round-arched windows, high box pews, galleries and apsidal chancel. 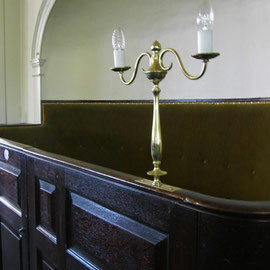 It is the only 18th-century survival in the City Centre and one of the few churches in Birmingham to retain its box pews complete with their enamel number plaques. At the back of the church are high pews for the churchwardens which are set in coved recesses under the gallery. Originally over the west gallery, the organ was moved to the east bay of the north aisle in about 1927. 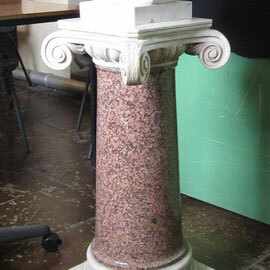 The small font is of marble and polished granite and has a stem with a white Ionic capital. 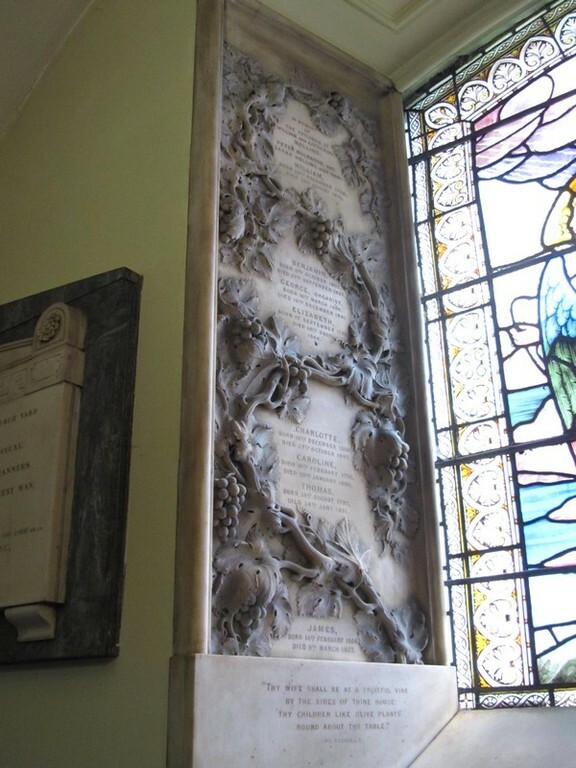 It stands near the west end of the aisle, but may have originally stood underneath the gallery. Of especial note is the Venetian east window. 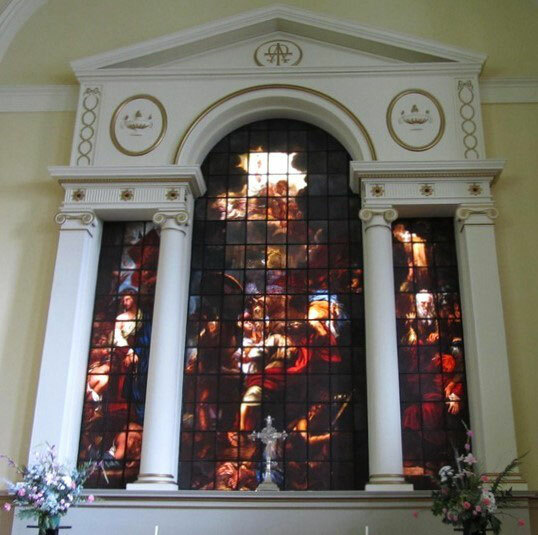 In 1785 Francis Eginton was commissioned to make a painted glass window depicting the conversion of St Paul, from a painting by Benjamin West. Samuel Wyatt was to design the setting and surround for the window. 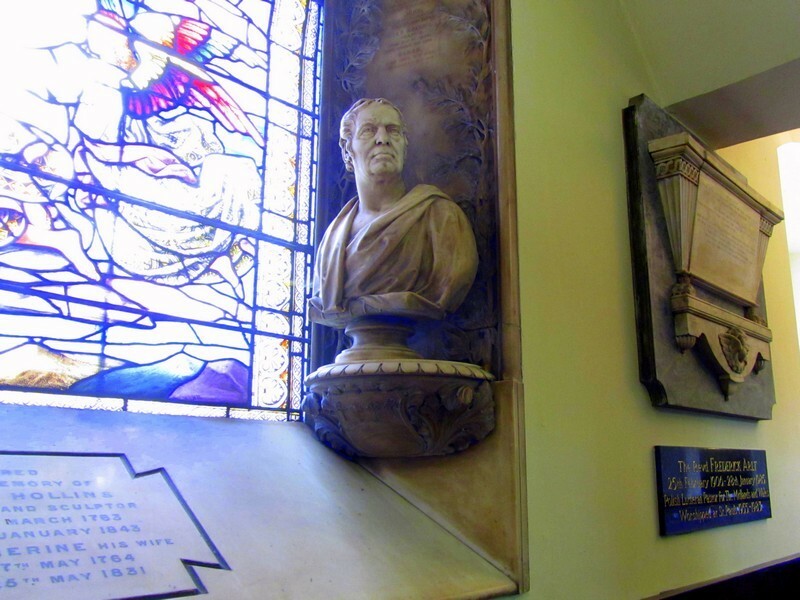 Eginton, a former senior employee of Matthew Boulton, had set up independently as a glass painter in Soho. His technique involves a double thickness of glass which is painted on the inner and outer surfaces. Eginton ran into problems with the window and it was to be 1791 before it was finished. It is considered to be Eginton’s best work. 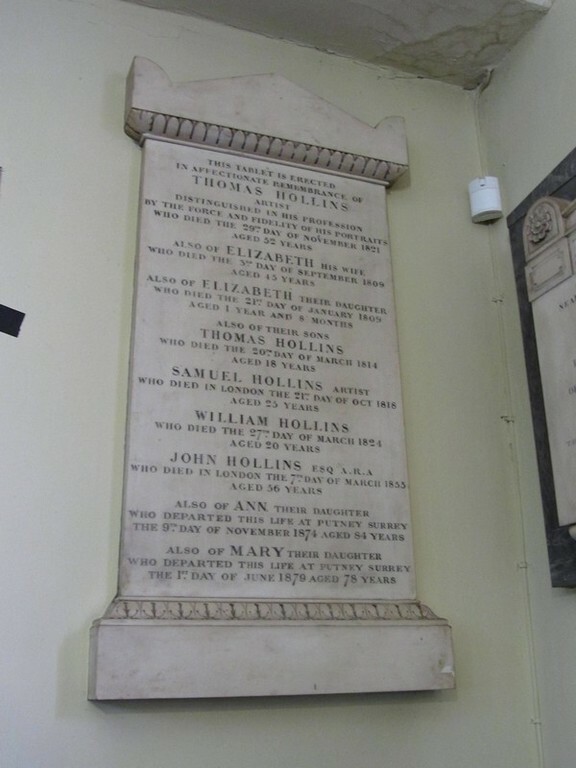 There are several 19th-century monuments and in the south aisle memorials of members of the Hollins family, who are buried in the churchyard nearby, including a bust of the architect, William Hollins by his son Peter Hollins. The neo-classical tower was undertaken following Eykyn’s plans by Francis Goodwin, an early architect of the Gothic revival. He had just completed Holy Trinity Church, Bordesley. Above the original square storey are two octagonal stages with Greek details, the lower with four tall round-headed windows with Ionic columns between, the smaller upper stage with eight small rectangular windows. The slender octagonal spire has three stages of like windows decreasing in size. 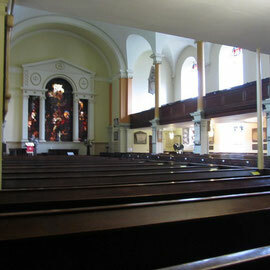 The renting of the seats, some 1000 of them, was to be vested in the minister of the chapel and pews could be rented by any Birmingham inhabitant. 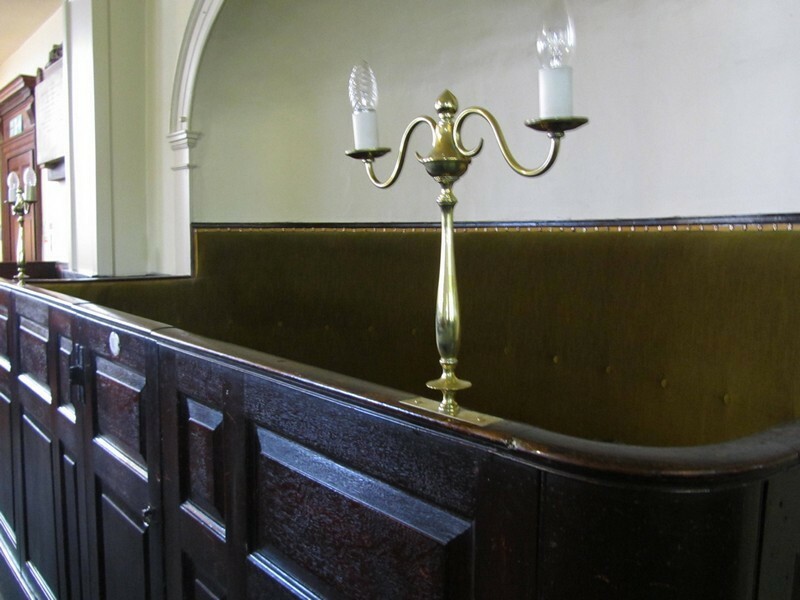 Pews were to be numbered and their holders forbidden to re-let them for larger sums, a practice common in churches where seats were in high demand. The rent from had to provide the minister’s income and was to be a maximum of £200 per annum out of which the minister had to pay £15 to the officiating clerk. 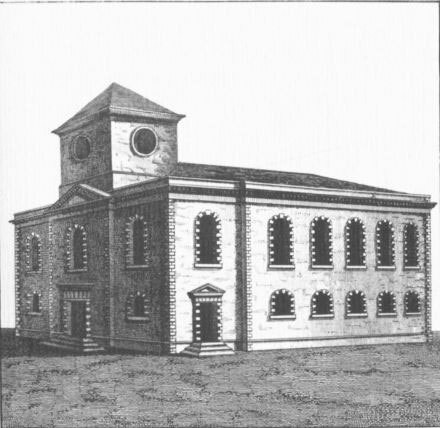 Those who had subscribed most towards the building of the church were to have priority in the allocation of pews. Thereafter their rights could be passed on to their heirs. The chapel was consecrated in 1779, but it was not until 1841 that a parish was formed out of that of St Martin's-in-the-Bull Ring. 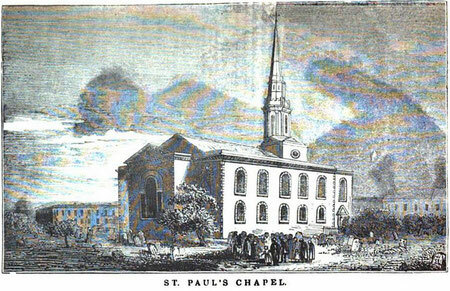 By 1810 St Paul's church was surrounded by housing, the most expensive houses being around St Paul’s Square. However, even in the early days, house owners were already letting out the rear of their plots for workshops. By the middle of the 19th century the population of the parish was some 11 000 and the estate had a mix of housing and small industries, notably jewellery manufacture. The parish was extended in 1900. In 1947, with the closing and demolition of St Mark’s, King Edward's Road, the parish was joined with that of St Paul’s to form the parish and united benefice of St Paul & St Mark. Gradually the district ceased to be the home of manufacturers and merchants, they having moved out to greener suburbs such as Edgbaston and Moseley. The church gradually became a shabby run-down building and, after World War 2, was in danger of closure and demolition. It had been damaged by German bombs in 1940 and again in 1941 which chipped masonry and broke windows. However, with some 1500 factories in the parish, the building became the focus of the Church's industrial mission in Birmingham and survived. 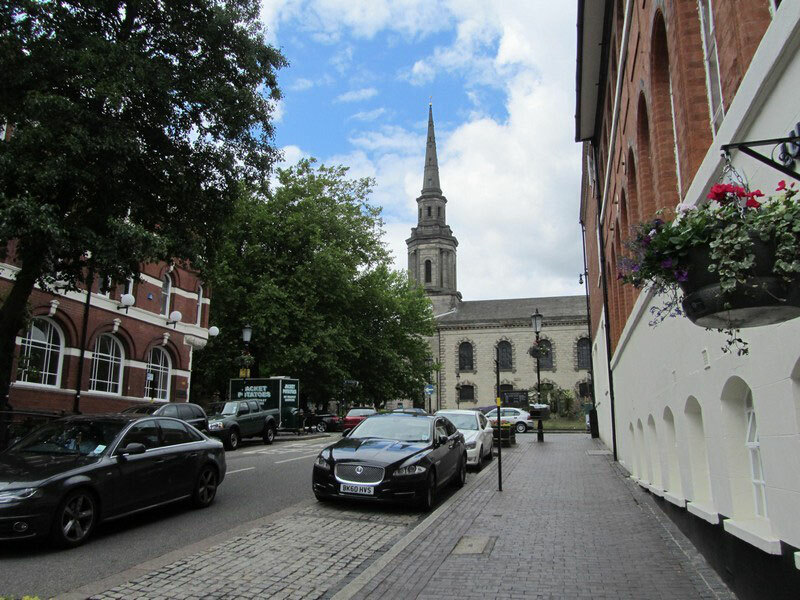 With the regeneration of Jewellery Quarter from the late 1980s and the new residential building from the late 1990s, the church has also seen a revival of its place as part of a revitalised district. The building was an extensively restored between 1985 and 1994 with the assistance of the Birmingham City Council, Duchy of Cornwall, English Heritage, local business and other benefactors. 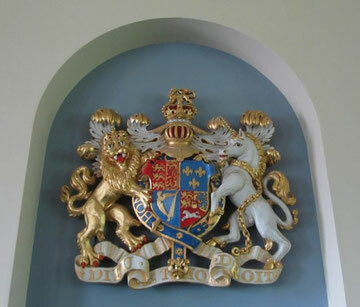 The royal coat of arms placed on the west wall of the gallery in 1996 is that of George III in whose reign the church was built. A stained glass window to commemorate the Millennium was added in 2000 and a peal of ten bells installed in 2005. The Millennium Window was designed and made Rachel Thomas. The window was sponsored by the Birmingham Assay Office and incorporates their hallmarks for gold, silver and platinum. In the centre of the window is the special assay mark for the Millennium showing angels pouring molten metal from a crucible. It was always intended for the tower to have a peal of bells, but again the money was not forthcoming and the tower remained empty except for an hour bell and two small quarter-bells for the clock. In 2005 the St Martin's Guild of Church Bell Ringers for the Diocese of Birmingham celebrated its 250th anniversary and to mark the event a joint project between the church and the guild was launched to install a ring of ten bells and to found a bell-ringing school. After raising some £140 000 by public subscription and thousands of hours of voluntary labour, a fine peal of ten bells were hung in the tower to become one of the City’s premium rings. The tower also now incorporates the Birmingham School of Bellringing. The church building has good acoustics and is also noted for its musical tradition, which was also feature of its earlier days. 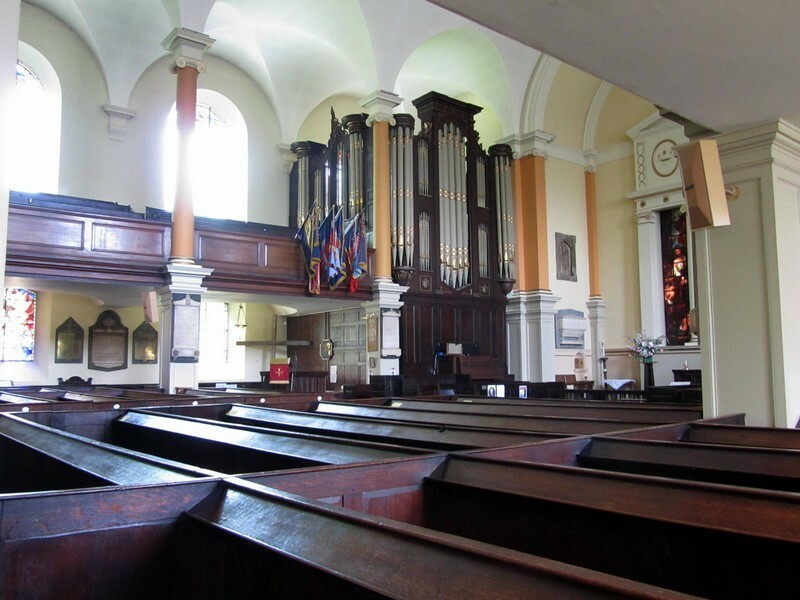 After World War 2 the church became a focus for Polish Lutherans, mainly ex-service personnel who had served with British forces during the war and were exiled. In 1966 they installed a plaque to commemorate the millennium of Christianity in Poland. Polish services are still a regular feature of the church. and from an article by John Sawkill, John Sawkill 2010 An Act for building Two new Chapels and providing Burial Places thereto, within the Town of Birmingham, in the County of Warwick, also on the church website - http://www.saintpaulbrum.org/twonewchapels.pdf . The bells - http://www.saintpaulbrum.org/bells.php . 6th edition 1836 - http://books.google.co.uk/books?id=eF8JAAAAIAAJ&printsec=frontcover&source=gbs_ge_summary_r&cad=0#v=onepage&q&f=false. Historic England website - https://historicengland.org.uk/listing/the-list/list-entry/1220815.